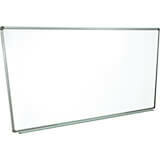 Our dry erase whiteboards are perfect for use in schools, coaching classes, meeting rooms and even homes. 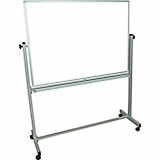 They allow you to capture your ideas and notes in a convenient manner and share them clearly with others. 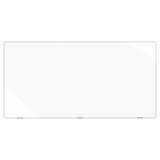 These magnetic dry erase boards also offer great assistance in order to conduct presentations in front of the students or your office colleagues. 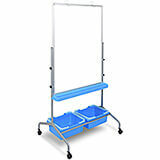 They are perfectly mobile and can be transported easily from one room to other, without applying much effort. 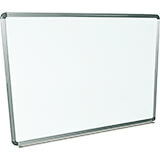 Our whiteboards facilitate convenient dry erasing of the written contents and some are double sided. 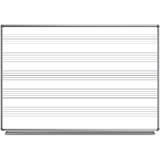 They consume little space and are available in different sizes. 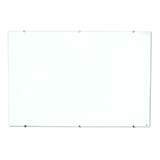 You can buy these dry erase whiteboards in wall mounting and self-standing options. 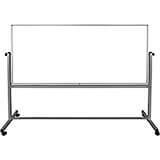 74.5" x 23" x 72"
31" x 25" x 61-72"
Luxor Wall-mounted Whiteboard Series are made from magnetic dry erase painted steel whiteboards. 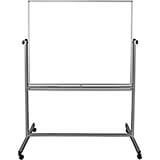 Commercial grade, 10 year warranty on the board. 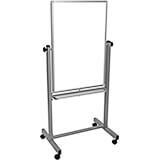 Features: Includes Mounting Brackets and Hardware (suitable for installation on Drywall). 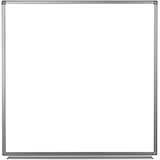 Aluminum frame around board. 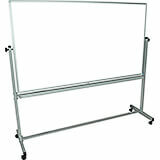 Frame includes 2" rail to hold dry board markers/eraser (not included). 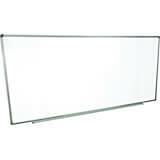 Luxor Large Wall-mounted Whiteboard Series are made from magnetic dry erase painted steel whiteboards. 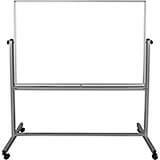 Commercial grade, 10 year warranty on the board. 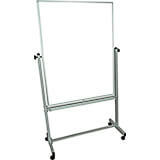 Features: Includes Mounting Brackets and Hardware (suitable for installation on Drywall). 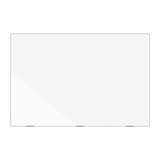 Aluminum frame around board. 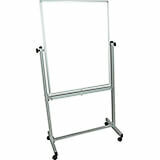 Frame includes 2" rail to hold dry board markers/eraser (not included). 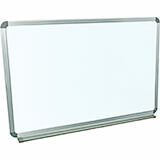 Luxor Extra-large Wall-mounted Whiteboard Series are made from magnetic dry erase painted steel whiteboards. 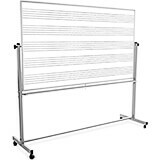 Commercial grade, 10 year warranty on the board. 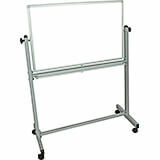 Features: Includes Mounting Brackets and Hardware (suitable for installation on Drywall). 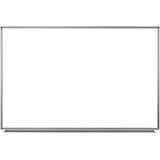 Aluminum frame around board. 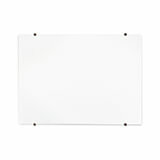 Frame includes 2" rail to hold dry board markers/eraser (not included).